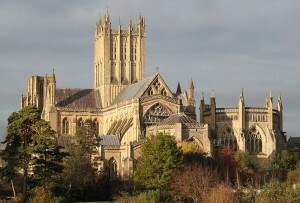 ENGLAND — A cathedral in England recently screened the blasphemous film The Last Temptation of Christ. The Church of England Cathedral in Wells made the decision to show the controversial Martin Scorsese film during the Bath Film Festival despite protests from the Christian community. Andrea Williams, CEO of Christian Concern, warned that the film screening would present a false message of Christianity. “In an age when many people may have the sketchiest knowledge of the Gospel and history of Jesus Christ, the screening of this blasphemous film, which challenges the perfection of the life of Jesus by introducing an offensive dream sequence, will spread misunderstanding of the tenets of the Christian faith and give the impression that the church endorses such false teaching,” she said. In The Last Temptation of Christ, Jesus is shown to have married and had children with Mary Magdalene. The film, which was made 25 years ago, sparked wide criticism when first released, leading to riots and censorships in countries, including Turkey. It was based on the 1953 novel by Nikos Kazantzakis. In response to the controversy, screening organizer Philip Raby defended the decision. “I believe Wells Cathedral deserves to be congratulated for giving Christians and non-Christians alike the chance to see a film which deals thoughtfully, intelligently and accessibly with the life and challenges of a religious leader who is important to millions of people around the world and has been so for 2,000 years,” he said. “In this more sceptical age, the Church should not hide from controversy and part of the task of the cathedral is to promote an intelligent faith that is capable of attracting men and women to follow in the way of Jesus in the 21st century,” he said. The decision to show The Last Temptation of Christ was made by the Diocese of Bath and Wells. Director Scorsese introduced the screening in Wells via a video link.